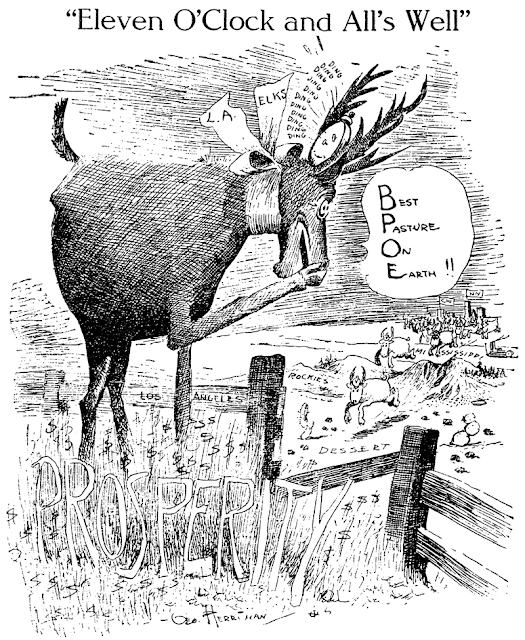 Friday, November 13 1908 -- One final cartoon from Herriman flogging the big Elks' get-together here in LA. Thankfully, we're now safe from the BPOE cartoons for another year. With [Philadelphia North American owner Thomas Wanamaker's] amazing capacity for details and a commercial acumen akin to genius, he would permit a petty incident to blind him to his own interests, and make hasty decisions that [North American editor] Van [Valkenburg]was obliged to readjust. This was illustrated in my own case. He had himself employed me, and five years later, when all of the other imported talent had deserted, I imagined myself his one ewe lamb. One election night, as we were awaiting the returns, he asked me why I preferred to live in Atlantic City, and when I had given my reasons he sniffed in contempt and said that if I would come to Philadelphia he would give me rooms in his own apartment. I write you this out of a spirit of friendship and kindness without the knowledge of anyone. I think that the wisest thing you could do would be to send your resignation as a member of the North American staff to Mr. Van Valkenburg, or propose to him that he pay you space for whatever the paper buys. I know that dissatisfaction with your services has been increasing monthly for the last two years until it is believed in the office that either you are too sick to work or that you are so well that you are fishing and anything you send up from your seashore retreat is an act of pure condescension on your part. Instead of hurrying to him and falling on my knees for mercy, as he had fully expected, I at once wrote him thanking him for his kindness and saying that I wished to draw further upon his friendship by asking him to write me a testimonial to the effect that for five years I had turned out a daily cartoon, also two and a half pages weekly of comic-supplement stuff which he had contracted to supply to divers papers at a profit of two thousand dollars monthly (he had forgotten all about this in his heat), a full-page weekly fairy tale for children, also widely syndicated, as well as countless illustrations and articles. He did not answer my letter, but left it among his papers, where it finally came to Van Valkenburg's notice. I did not resign but took the train for Wilkes-Barre, where I remained six months engaged in nursing an infant trolley park and regenerating a much abused eyesight. I had become entangled in this enterprise through my interest in a young inventor of a roller coaster of great monetary prospects and, having formed a company, rented land and erected many buildings, was not averse to undertaking the management of the enterprise although I knew no more about an open-air show than I did of Hebrew logarithms. It rained for sixty days out of the ninety of the season, but in so far as keeping ahead of the sheriff was concerned, I managed to pull it through successfully. One might write a volume on my experience. 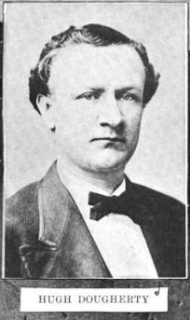 I there became well acquainted with John Mitchell, the labor leader, a man of high character and immense influence, as unspoiled and ingenuous as a boy. We contemplated collaborating on a book, but he conceived the queer notion that it would be taking advantage of his leadership of 150,000 workmen. I launched into journalism one of its brightest ornaments, a young lawyer named Frank Ward O'Malley, who was threatened with a pulmonary trouble and whom I induced to come out to the park and help me with a weekly advertising sheet. 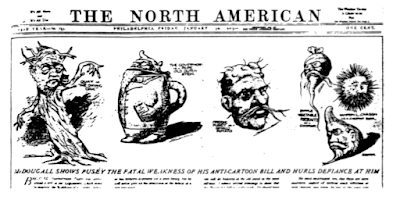 Some of his contributions to our Park News were so clever that New York papers copied them, and later he was captured by the Sun. He was a slim, handsome, vivacious fellow with all of the outward marks of genius as I had learned to recognize them in a long course of study. At the end of August I returned to Philadelphia, meeting Felix Isman, the realtor and author, just outside the station. Excitedly he demanded where I had been hiding. When I explained he took me by the arm and led me up into an office in which sat Senator Boies Penrose, Boss Jim McNichol, Senator Vare, David Lane and one or two others, all declared enemies of the North American. I held up my hands and said: "I am not heeled! Don't shoot!" "Are you going back to the N.A.?" demanded Penrose without prefatory remark. "I don't know," I replied. "I've got to earn a living." "What'll you take to stay down in Atlantic City until after election?" he asked in his plaintive nasal whine. "It's a mighty expensive place, as McNichol can tell you. He knows it costs about five hundred a week to live there," I replied jocularly, never expecting my reply to be taken otherwise. "How will that suit you?" Penrose asked McNichol, the city's boss, and as Jim nodded, the Senator reached for his check book and, chuckling, said: "After this you can spit your venom into the ocean and not through the N.A." Dazed, I took his check for fifteen hundred dollars, and after a brief chat, during which nothing more was said about this shameful prostitution, as Van Valkenburg termed it when he learned of it, and which I admit would have been a correct definition had I been bribed by the unconscionable Democratic bosses, I took my train for home, where I remained listening to the voices of the waves for ten or eleven placid weeks. This was my only contact with practical politics, although campaigning with Van had afforded me glimpses of doings the practicality of which were evident, and this was in the nature of a life-saver, for I was down almost to my last dollar when these unscrupulous tempters beguiled me. After the election, wherein the Wanamaker forces were beaten to a jelly, I strolled into the N.A. office. "Where on earth have you been?" demanded Van, winking nervously. "Running my old trolley park into the ground," I replied. He fumbled in a drawer, drew out my answer to Wanamaker's letter, and asked: "What does that mean?" "Just what it says. It's plain enough," I said. "I found it among T. B. 's papers," he explained. "I don't think, however, that he intended me to see it." I happened to have Wanamaker's letter in my pocketbook and produced it. After reading it, Van said: "Well, T. B. hired you and, it seems, he fired you. I guess he didn't know you were loaded. Now I'll hire you!" I resumed relations, with an increase of fifty dollars a week in salary and a five-day week, which, to me, was a sufficient answer to T. B. 's curt and kindly epistle and repaid me for six months of financing an outdoor show, nursing lost babies, running a baseball team, and listening to the band spiel out "In the Shade of the Old Apple Tree" and "Everybody Works but Father" four times an hour from 10 a.m. until 11 p.m. daily. I stayed this time for four years. 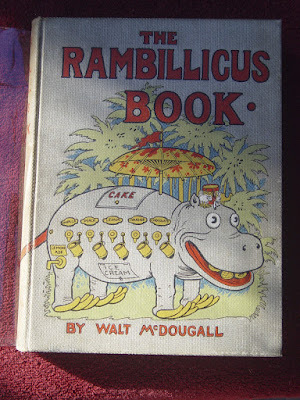 In 1903 the "Rambillicus Book" was published with gratifying success. It was a collection of the "Fairy Tales for Children" which had appeared weekly in the N.A. 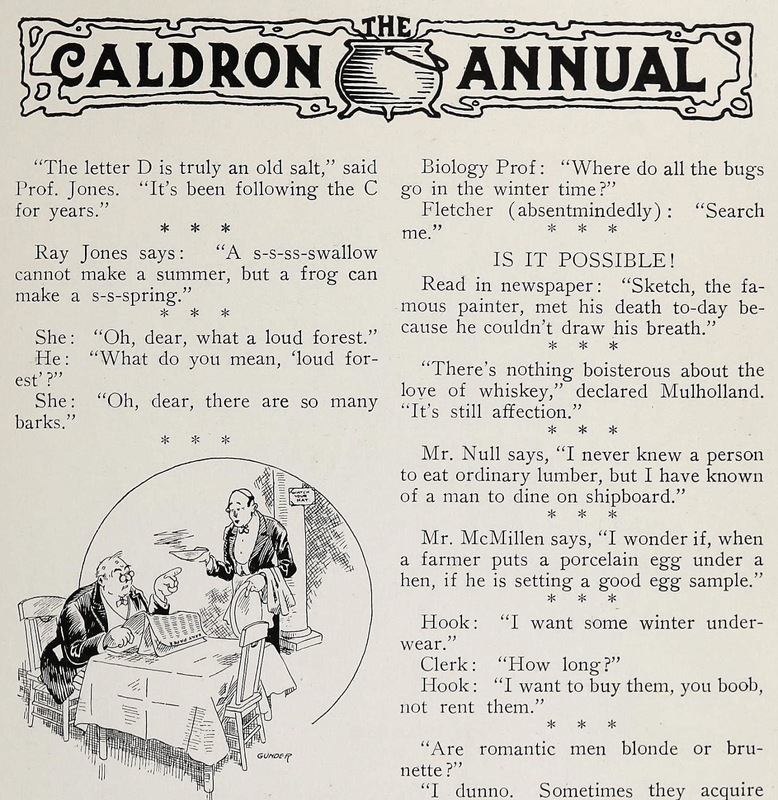 and a number of other papers, in which an undercurrent of humor, intended solely for grown-ups, was injected. 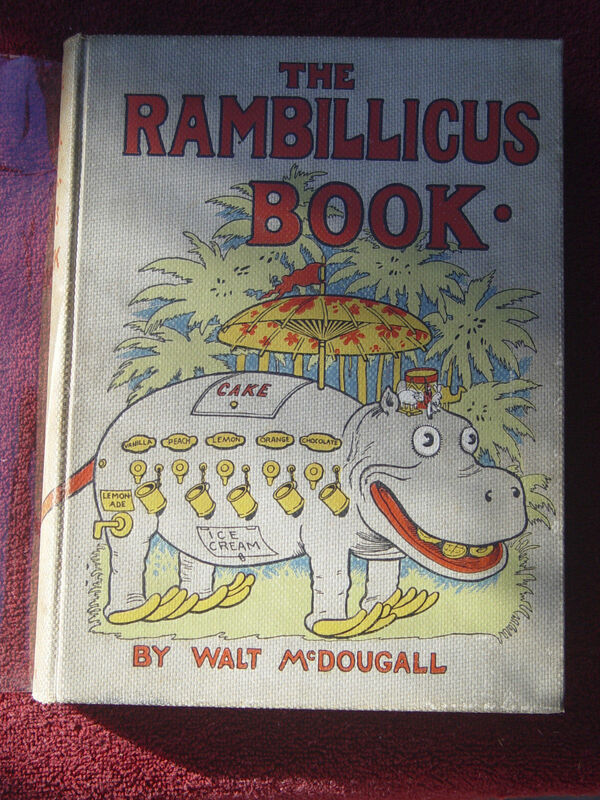 I named my first motor boat the Rambillicus and became a devotee of the gas engine and grease. 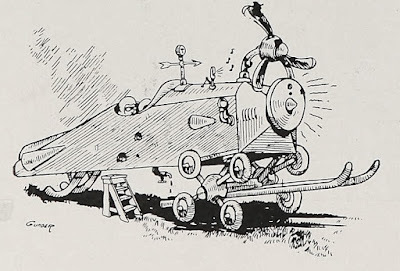 Gasoline cost five cents per gallon, and half of the fuel was dissipated by the "vaporizer," as the primitive carburetor was called; her speed was nine miles an hour, but the demon that is in every gas engine made vigilance the price of pleasure. 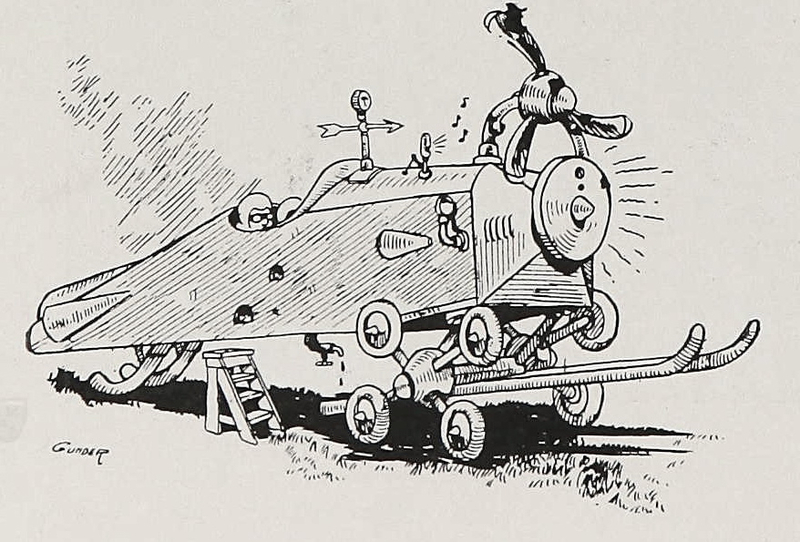 Angelic patience and ingenuity were required by every motor-boat sailor, hence the pursuit was fascinating. I once brought my craft home with the aid of a hairpin as a tripper-spring. Selden, who controlled the American rights of the gas engine, lived near me; he more than once assured me that his royalty of five dollars per engine did not pay his rent, yet within a few years he was a millionaire. Governor Pennypacker issued a vehement broadside against cartoonists that year; a fiery message to the Legislature, in which he savagely anathematized all and sun-dry cartoonists as pestilential evils, and advocated that they "be drawn and quartered," was widely published, and a bill was introduced in the Legislature by Assemblyman Fred. 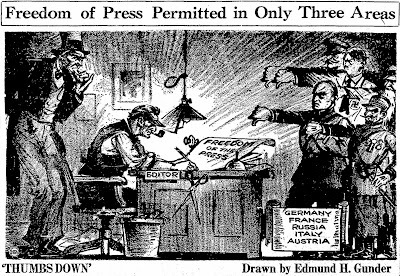 Pusey, prohibiting "the depicting of men in an inhuman manner or as birds or animals." Whereupon I made a whole page of portraits in which every prominent official from the Governor down was portrayed as a vegetable, some of the portraits being exceedingly felicitous, and the bill died a natural death from ridicule [actually, it apparently passed into law, but was never enforced - Allan]. Pennypacker, a scholarly old soul, slow to wrath, but devoted to Quay, was much disappointed over the result, as well as angered at being depicted as a beet, and he always refused to acknowledge my courteous salute thereafter on the street. Two Sundays later, chugging down the "Thorofare," as the waterway back of Atlantic City is termed, I saw a man and a boy standing dejectedly on a wharf. Slowing down, I accosted them to find that they had been disappointed in connecting with a boat in which to go fishing, or some such misfortune, and I suggested that they go with me. This was agreed to with avidity, and for the rest of a perfect day we fished and chatted to our mutual edification, for he was an agreeable, intelligent companion. It was only on our return that my guest asked my name and, after a stare of astonishment, revealed that he was Assemblyman Pusey, whom we had been cartooning vigorously for some time. Such little adventures add spice to a dull life. The Clover Club was at the beginning of its decadence at this time, having lost much of its spontaneous brilliancy through the passing away of its cleverest, most irreverent members. I had attended its unique dinners from that remote period when they were held at Boldt's Sea Girt Hotel at Spring Lake. They were meetings of bons vivants, intolerant of twaddle, buncombe and bull, but to an orator who succeeded in passing through an initial barrage of annoying, disconcerting interruptions without succumbing, they were all that could be desired. 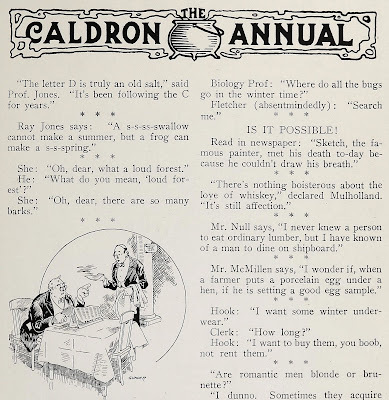 I have witnessed many comical and some depressing instances of self-important dignitaries losing their tempers under the studied affronts of the members, which, it must be confessed, became, in time, rather stereotyped, as, for instance, in the reply to a nervous speaker who asks: "What shall I talk about?" which was: "Talk about a minute," and which, after twenty or thirty years' wear, is still as sharp as an Indian arrowhead. One night Grover Cleveland resented one of these flippant sallies so strongly that much diplomacy was needed to prevent his departure, but he never had any sense of humor. Most speakers were warned beforehand that they would run the gauntlet of a rather banal form of wit, and stiffened themselves for the ordeal. I well remember Col. Pat Donan of Dakota, a picturesque and admirable character, launching into a stream of liquid eloquence in a voice like a silver bell and carrying the gang of charmed scoffers, in an ecstasy of speechless rapture, clear to his peroration without an interruption, but he was the only man who ever got away with it, I think. With the years the Clover Club grew tamer—but the wine improved with age—and the terrapin smaller. There were fewer guests of distinction and more conviviality as the members, grown more staid, less cruel, came to depend on themselves for their amusement. I recall one gay night when Charles M. Schwab, Lieut. Gov. McClain and myself stood in the alcove of the Bellevue-Stratford banquet hall and sang a ballad in a manner that drew tears from nearly all eyes, and discovered when we had finished that the gallery was filled with hilarious ladies. I have never sung in public since, but Schwab and McClain are still addicted to the vice under certain conditions. Another club there was called the Terrapin, of ancient lineage, originating in Revolutionary officers and perpetuated by their male descendants, at which the Madeira was always the oldest obtainable and only four guests were invited. I ventured to suggest Elbert Hubbard, who happened to be in town, and was deputed to invite him. Old Hughie Dougherty, the minstrel, was also invited, and he proved a bonanza of humor. Hubbard's talk was flat and pointless in comparison, and he left after he had spoken but sent a bill next day of $150 for his services. No city on earth was as bibulous as Philadelphia before the World War, nor was vice more rampant anywhere, I think, or more profitable to its officials. Even Atlantic City, governed by a gang of gamblers and saloon-keepers, was a kindergarten compared with the City of Brotherly Love, beside being far cooler in Summer. I had a large cottage on Arctic Avenue, near Rodman Wanamaker's house, to which for six or seven years superheated friends flocked for comfort and rest. Had I kept a visitors' book, it would show some notable names. Ex-President Cleveland came for two days of the most remarkable yellow-leg shooting we ever had, T. B. and Van, McEwen, Pillsbury the chess-player, old John L. Sullivan, reformed and bone-dry, Victoria Vesta, John Sousa, Campanini, John Kelly, Hawthorne, Dave Warfield, Gov. Bill Bunn, Frank Baum, Gov. John Tener, and so on. In the Winter of '04 I encountered in Washington a Baron Von Sternberg, who was one of the Kaiser's physicians, and later resumed his acquaintance in Atlantic City. I surmised that this German nobleman, alert, suave, refined, was here for special purposes of state, but foreign espionage of that sort was common enough and nobody thought anything about it. One night after dinner we were discussing the character of his Imperial Majesty, whom I had observed closely when I went abroad with the Wild West show, and whom Doctor Von Sternberg did not seem to hold in special veneration, and I remarked that I desired but one thing from the German monarch and that was one of his brown dachshunds, which he never gave to any but his own relations. "Why don't you ask him for one?" queried Von Sternberg. This aroused some laughter, and he explained that a king is like God and cannot be offended by any request—indeed, is pleased with that form of homage. He assured me that at least I would receive a reply to my prayer. Anxious to test his statement, but utterly without any expectation of any result, I wrote a letter in my best handwriting, couched in the form dictated by the doctor and upon expensive stationery, and dropped it in the letter box. Accordingly to your request of the twenty-first of February his Majesty the Emperor has condescended to favor you occasionally with a young dachshund of the royal kennel breed. You will be informed as soon as the right pup will be found. I was even more elated than astonished. I mentally pictured that imperial hound with his beautiful brown streamline body, wriggling down the gangplank of the steamer, already the first dog in the land, with every newspaper camera trained upon him and his picture in every Sunday supplement from New York to Los Angeles, but alas, instead of an "occasional" pup appearing, days, months and years passed, whole generations of dogs were born, but I never saw my promised dachshund. 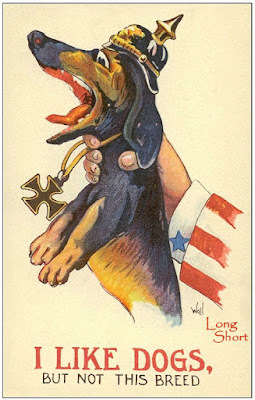 Whether Kaiser Bill forgot about it or some low-down human hound poisoned his mind against me or Baron Heintze double-crossed both of us and sold my pup, may never be known, for William and I have not corresponded since. Now I don't care, as the dachshund is quite out of style, but at times the memory rankles and the old sore is inflamed. That same Spring started the Clamshell Check on its voyage around the world. This was a clamshell picked up on the beach, drawn upon the Marine Trust Co. of Atlantic City, and paid to my friend Leonard D. Alger by that bank, much to his amazement. The bank, appreciating its advertising value, encased it in rosewood and velvet and exhibited it in their window, after which it journeyed from city to city through the U.S., Canada, India and Australia. This little sample of pen-and-ink work served to give me repute in the world of finance and has more than once helped to get a check cashed for me in a strange place where my looks might have been against me. Edmund Henry “Ed” Gunder was born in Indiana on January 30, 1903. The birthdate is from the Social Security Death Index. Gunder may have been born in the city of Washington, Indiana where his parents and sister lived according to the 1900 U.S. Federal Census. A family tree at Ancestry.com said Gunder’s mother passed away March 7, 1907. In the 1910 census, Gunder (erroneously enumerated as Gunther) and his father boarded in Fort Wayne, Indiana at 1310 Oakland, which was the boarding house of Barbara McCormick, a widow. Gunder’s father, a freight trucker, passed away December 27, 1914. 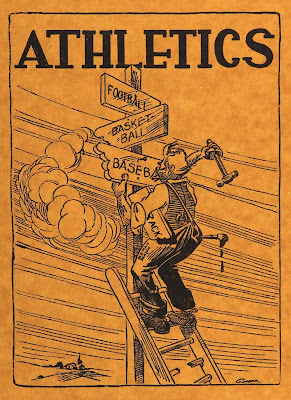 The 1917 Fort Wayne city directory listed Gunder, a student, at 1310 Oakland. Gunder was at the same address in the 1920 census. Gunder was a junior at the Fort Wayne High and Manual Training School. He was a staff artist on the school annual, The Caldron, and newspaper, The Spotlight. Information regarding his art training has not been found. Several Fort Wayne city directories, from 1922 to 1928, listed Gunder as an artist with the Journal-Gazette Engraving Company. The 1928 directory included Gunder wife’s, Bessie. The 1930 census said Gunder was the head of the household which included his wife, daughter, Jean, and “foster mother”, Barbara E McCormick. They all lived at 1310 Oakland in Fort Wayne. Gunder’s address was 1228 North Anthony Boulevard, Fort Wayne, in the 1933 city directory. At some point Gunder moved to or near Cleveland, Ohio where the Newspaper Enterprise Association (NEA) was located. Gunder produced art for NEA. American Newspaper Comics (2012) said Gunder drew Adventure Stamps which was the Sunday topper to Wash Tubbs; the topper ran from May 24, 1936 to January 3, 1938. I.S. Klein was the writer. The following year Gunder illustrated the Story of the Constitution which was written by Willis Thornton. It ran from September 13 to 18, 1937. Both series were for the NEA. The 1940 census recorded Gunder in Lakewood, Ohio, at 1307 Nicholson Avenue. His occupation was newspaper artist. Gunder moved on to become an Associated Press staff artist. 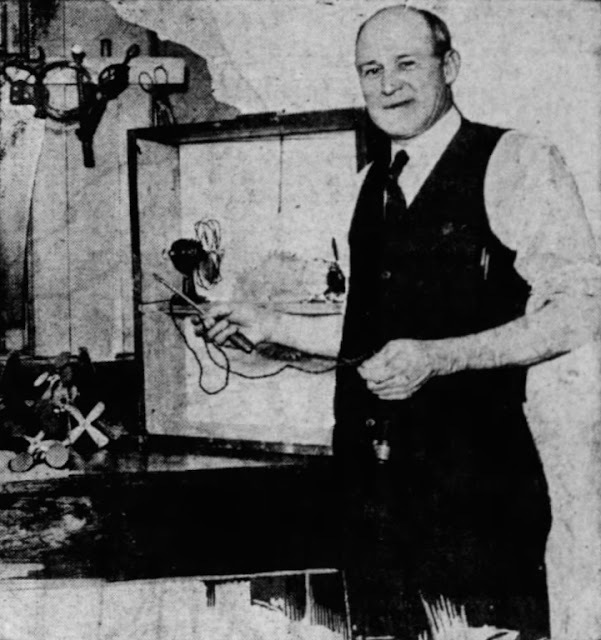 American Newspaper Comics said he drew three Story series beginning with The Story of Santa Claus, which was penned by Sherry Bowen and ran in December 1951. 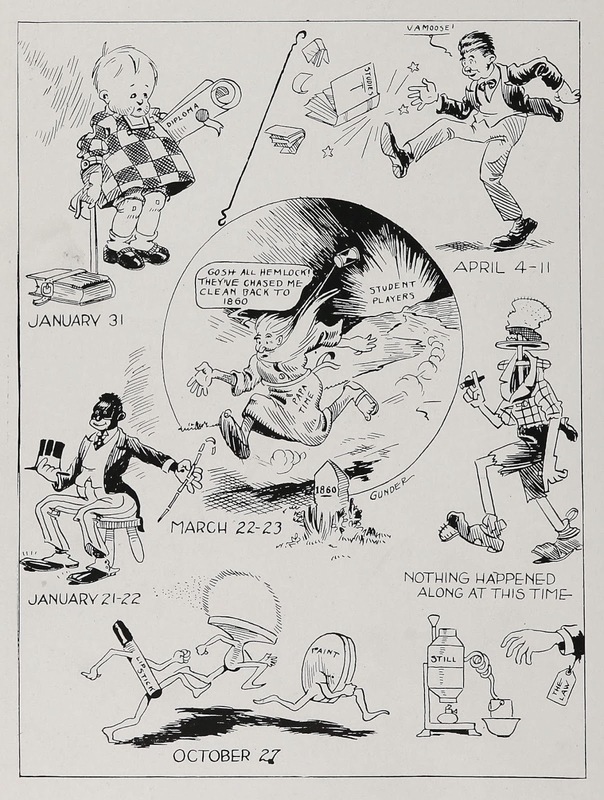 1952 saw the release of The Story of Easter in April. 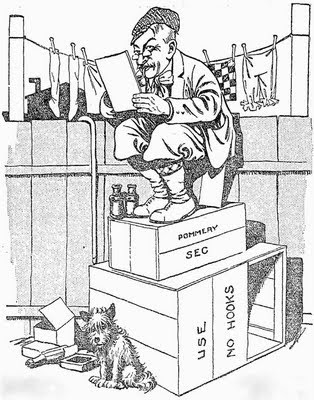 Gunder drew editorial cartoons and illustrated articles. Gunder passed away October 24, 1977, in Fort Wayne. He was buried at Lindenwood Cemetery. 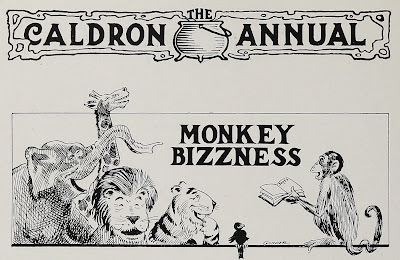 Although I have generally categorized Gus Mager's New York World 'monk strips' as one big long-running series, he did occasionally come up with a particular monk character that he liked especially well, and he'd write a strip series around him exclusively for awhile. 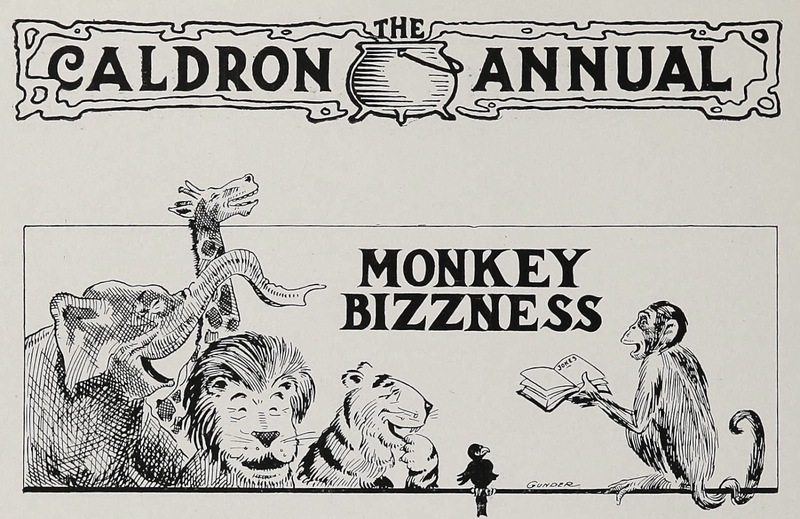 Such is the case with Millionbucks, a monk strip that ran from January 18 to June 3 1913, at the same time that the regular monk strip was slowly being taken over by Mager's most successful monk character, Sherlocko. Millionbucks is a delightfully wacky strip in which a fabulously wealthy fellow cares not one wit for his fortune, but only pines for the love of Miss Peacherino, who is in turn more interested in another beau, named Kandykiddo. Although Mager unfortunately chooses to write the captions in rhyme, which regular readers of Stripper's Guide knows is like nails on a blackboard to me, I have to admit that Mager is better than most at making good and funny rhymes. 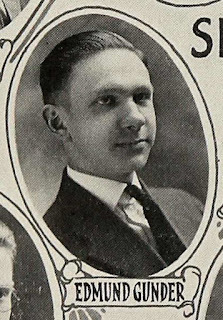 Ink-Slinger Profiles by Alex Jay: Sam Loyd Jr.
Sam Loyd Jr. was born Walther L. Loyd in Elizabeth, New Jersey, on June 15, 1873. Loyd’s birth information was found in the New Jersey Birth Index at Ancestry.com. The 1880 U.S. Federal Census recorded Loyd in Jersey City, New Jersey at 427 Grove Street. He was the second of three children which included two sisters. Their parents were Samuel, a printer, and Addie. The Brooklyn Daily Eagle (New York), February 24, 1934, said Loyd attended Brooklyn public schools and Pratt Institute. 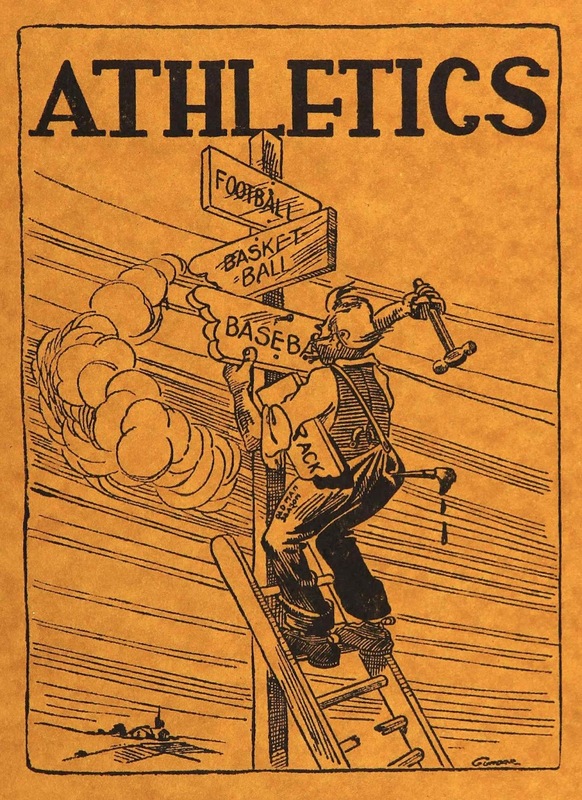 In the Brooklyn Eagle Sunday Magazine, January 19, 1927, Loyd talked about his early career in newspapers. “I started to earn a living at 18 by becoming a cub reporter on the New York Mail and Express. Soon after I was given charge of their Brooklyn office, where I was expected to letter the bulletin board, solicit advertising and turn in a daily column of Brooklyn news. “Later I joined the staff of the Brooklyn Standard Union under Murat Halstead, the famous Cincinnati ‘war editor.’ Eventually I became the editor of the Mount Vernon (N.Y.) Chronicle, a country weekly. According to the 1892 New York state census, Loyd, a clerk, resided with his parents and three sisters in Brooklyn. Loyd’s father, an editor, was known for his writings on chess, and starting in the 1890s, gained world-wide fame as a puzzlemaker. Loyd worked with his father. Loyd has not been found in the 1900 census, but he was recorded in the 1905 New York state census at 153 Halsey in Brooklyn. 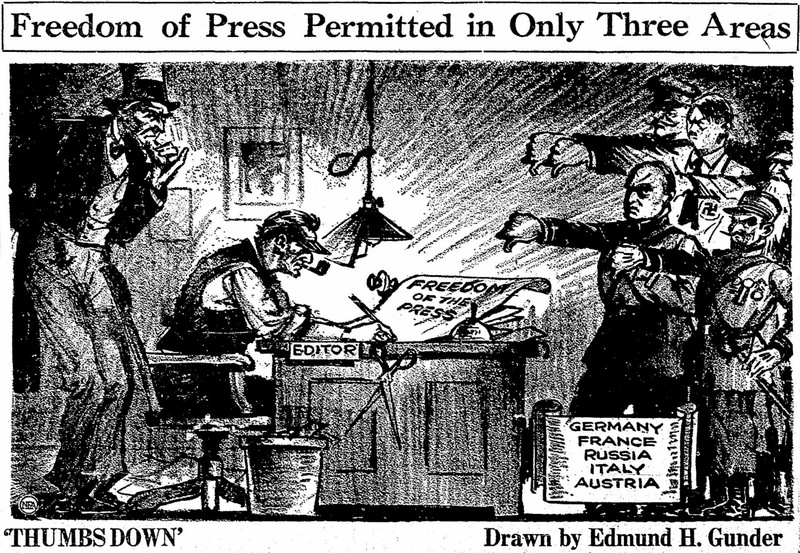 Both Loyd and his father were on the editorial staff of a newspaper. Sometime after this census, Loyd changed his name to Samuel “Sam” Loyd Jr. The New York, New York, Marriage Index, at Ancestry.com, recorded Loyd’s marriage to Helen M. Douglas on November 21, 1907, in Manhattan. Loyd’s marriage was mentioned in the Salt Lake Tribune (Utah), December 1, 1907. In the 1910 census, Loyd was married to Helen and they had a year old son, Samuel Jr. The family lived in the Bronx at 1027 Southern Boulevard. Loyd was a self-employed journalist. 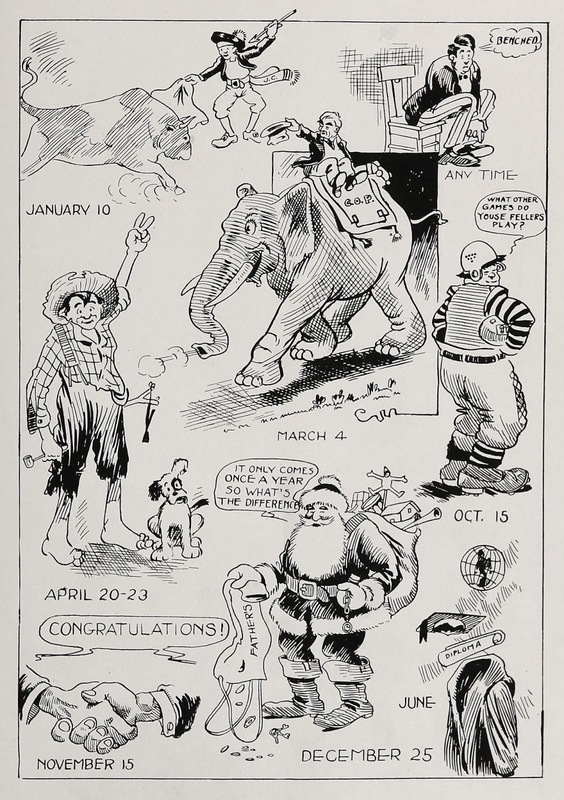 American Newspaper Comics (2012) said Loyd produced the Adventures of Tom Tinker—The Puzzle Kid from November 6, 1910 to May 13, 1911. 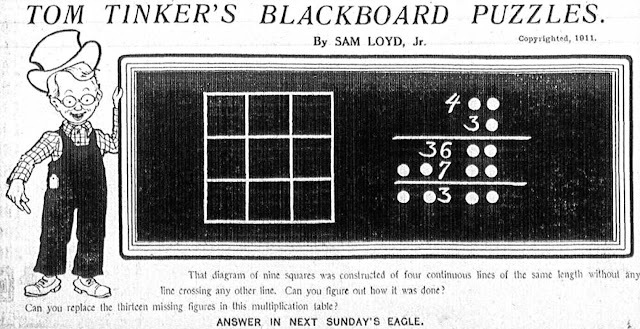 Tom Tinker appeared in the Daily Eagle which published Tom Tinker’s Blackboard Puzzles beginning June 3. A 1911 New York city directory listed Loyd and his father at 7 Dey Street, room five. Both were involved with puzzles. Loyd resided at 1027 Southern Boulevard, while his father was at 153 Halsey in Brooklyn. The Daily Eagle, April 11, 1911, reported the death of Loyd’s father. Loyd continued to produce puzzles for various publications. The 1915 state census listed Loyd, a journalist, in Hempstead, Long Island, New York, on Hamilton Place. Loyd signed his World War I draft card on September 12, 1918. The author lived at 433 Dean Street and worked at 246 Fulton Street; both addresses were in Brooklyn. He was described as tall, medium build with blue eyes and brown hair. According to the 1920 census, Loyd was a Brooklyn resident at 205 St. James Place. He had his own business as a self-employed author. 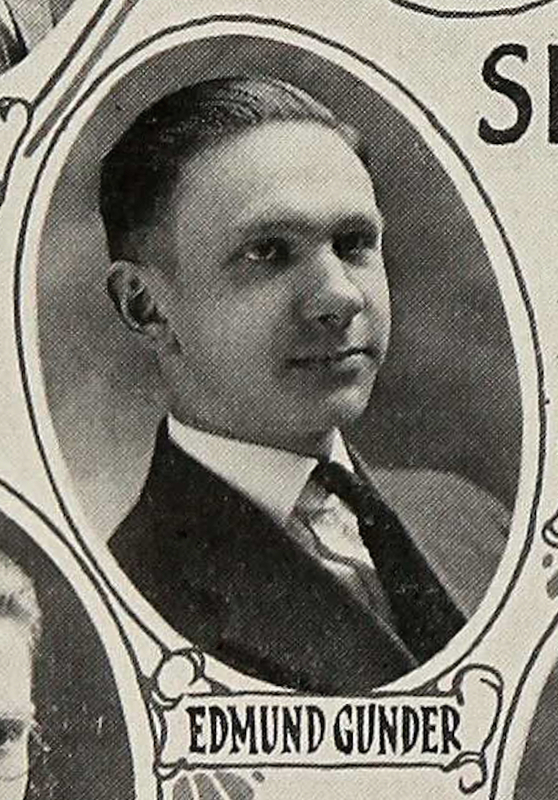 He was featured in the Sunday Eagle Magazine, January 9, 1927. Loyd has not been found in the 1930 census. Loyd passed away February 23, 1934, in Brooklyn. His death was reported the next day in the Daily Eagle, February 24, 1934. News of the funeral service was published two days later. Loyd was buried in Maple Grove Cemetery the same as his father. 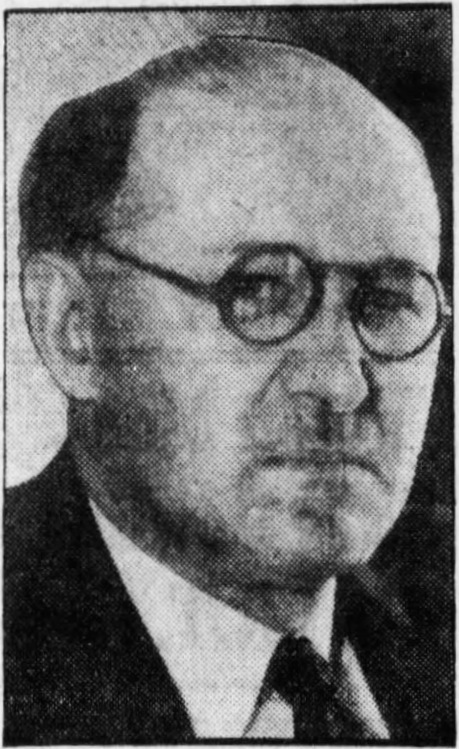 The terms of Loyd’s will were revealed in the Daily Eagle, March 7, 1934. Obscurity of the Day: The Wonderful Adventures of Baron Munchausen Jr. When the Philadelphia Inquirer hired the great Clare Victor "Dwig" Dwiggins to anchor their Sunday comics section in 1900, he really pulled out all the stops and gave them more than their money's worth. He only stayed a few years, but those were some heady times to be reading the Inky's funnies. Today we have one of Dwig's most delightful series from that period, The Wonderful Adventures of Baron Munchausen Jr. Unfortunately he only did a very few episodes, from September 16 to October 28 1900, but they were some really choice morsels. The concept is that the great teller of tall tales, Baron Munchausen, had a son, and the young tyke (who claims to be about a hundred years old) follows in his pa's foosteps as an adventurer. 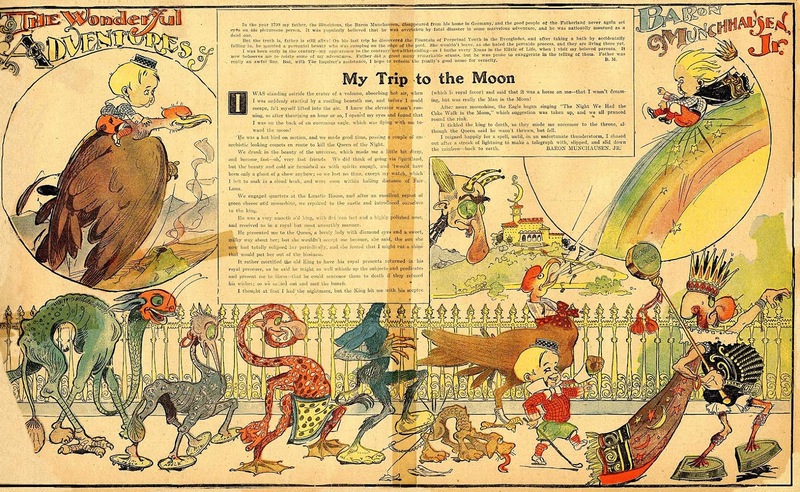 The first episode, seen above, starts out by sending our star on a trip to the Moon, which affords Dwig a chance to draw up a whole parade of bizarre moon-creatures. I uploaded this image at an extra large size to ensure that you'd be able to read the delightful text story. It's worth your time, I promise. As both a Big Fan and an erstwhile cartoonist, I have long wished that I could have lived back in the early early days of The Funnies. This page - well, two pages - is a great example of why. Wonderful artists had free rein to do whatever the heck they wanted, in colour, and at enormous size. A lost Eden. Oh, how glorious it could have been if this was really a double-page spread feature. Actually Munchausen Jr. was just a mere half-pager. The line down the middle is the darkening from a piece of tape that was holding together one of the incredibly fragile sheets in Cole's early Inkys.